Traditionally the band's largest public Spring concert and the first of two annual concerts in honour of their Vice Presidents. This concert is open to the public. 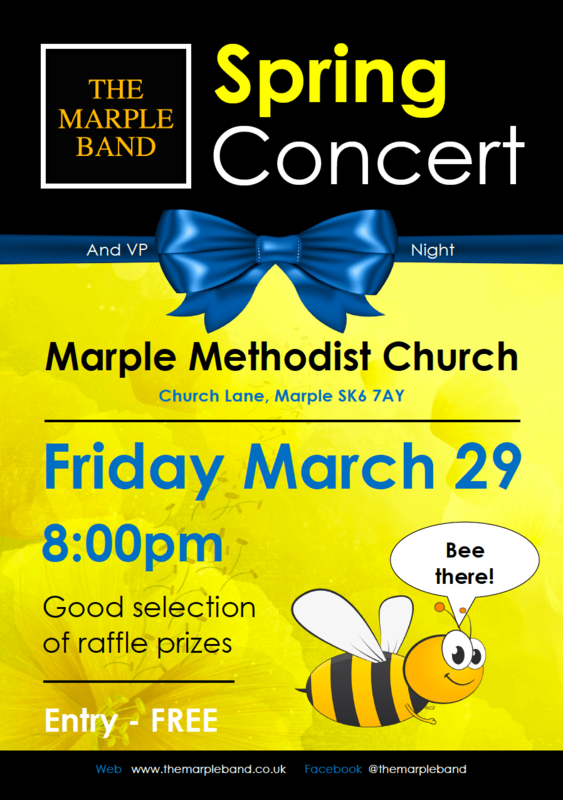 Venue: Marple Methodist Church. Come along with your friends and family for a varied, high standard programme of music with refreshments and raffle prizes.